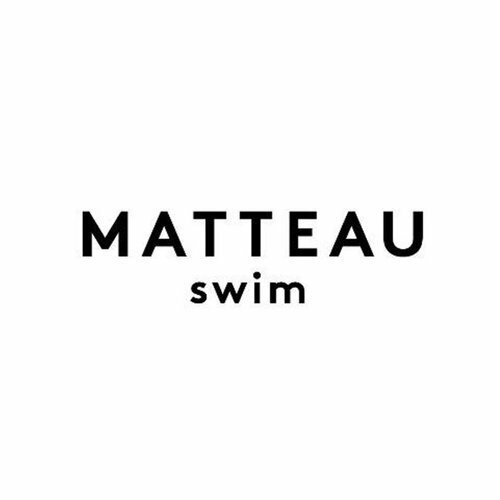 The Square Maillot One Piece swim suit from Matteau features a classic square bust line with wide straps that is flattering on both small and large busts, mid to high rise back with medium coverage on the rear. Self lined with seamless front. 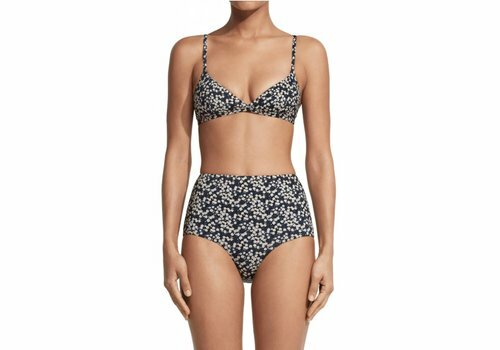 The Scoop Maillot one piece swim suit from Matteau is a classic clean line maillot with deep scoop front and narrow straps featuring a low to mid rise back with medium coverage on the rear. Self lined and seamless front. The Ring Brief in Liberty print from Matteau is a 1970s inspired brief featuring a matte black rings at both hips with contrast stitching on straps and bind. This brief offers medium coverage on rear with a low to medium rise. The Ring Top in Liberty print from Matteau is a 1970s inspired triangle top featuring a matte black ring at centre front with contrast stitching on straps and bind. This top offers medium coverage with adjustable straps, self lining and seamless finish. The Petite Brief from Matteau is a small brief featuring a low rise, medium coverage in the rear, self lining and seamless finish.